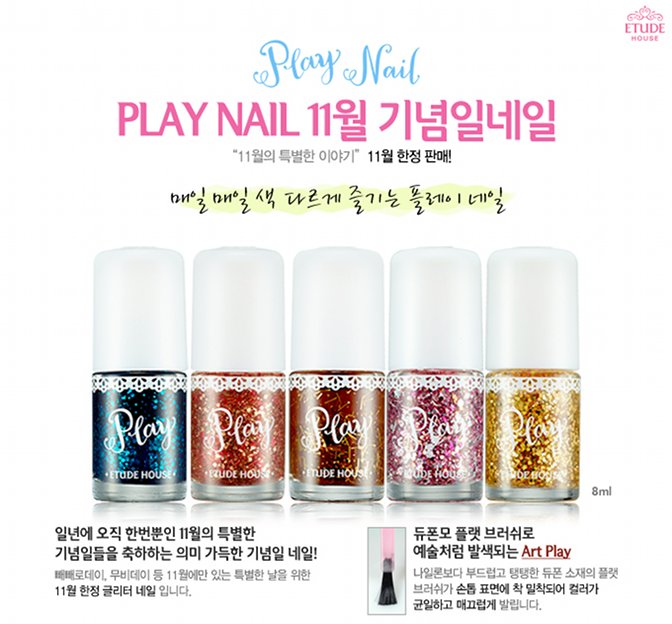 Etude House Play Nail #151 to #165 - Across the Universe | Memorable Days : Beauty Blog - Korean Beauty, European, American Product Reviews. 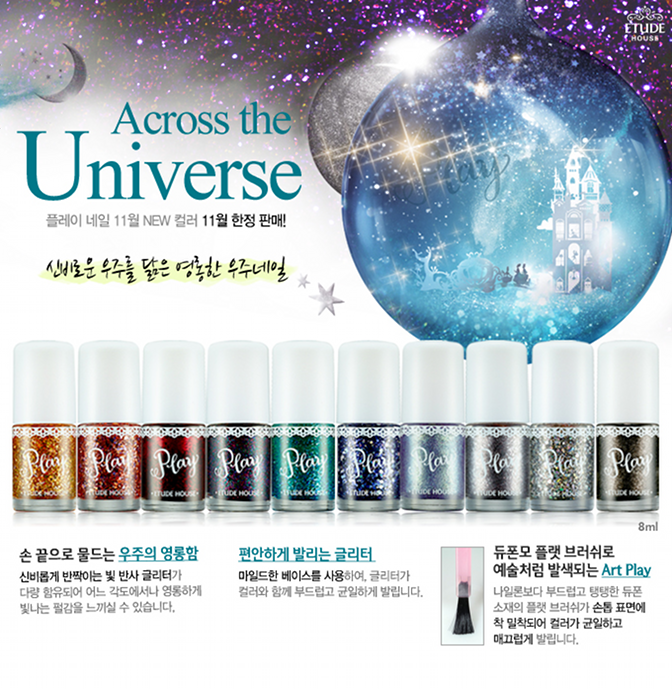 Etude House has released some brand new nail polishes for the month of November 2013. Remember my Play Nail blogpost where they released more than 100 nail polishes at once? (read blogpost here). Well, for this month they have created 15 more nail polishes, check them out in today's blogpost and tell me which ones you like the most! I'm totally in love with all those glitters o.o! 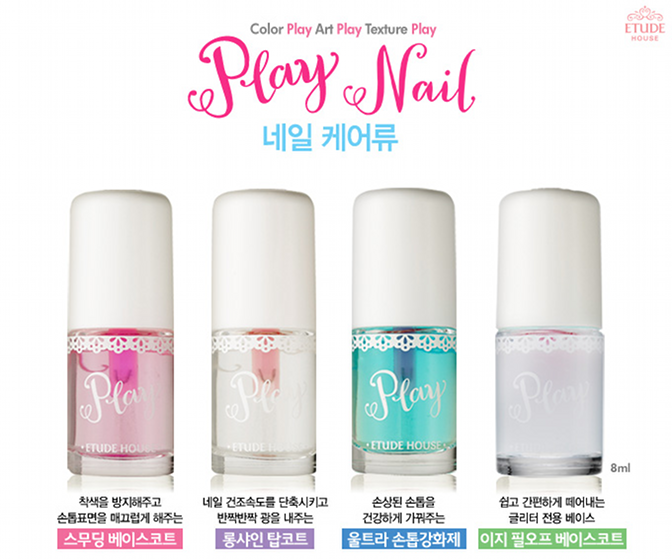 The Etude House Play Nail #151 - #165 are available at the Etude House store, but they aren't available online yet. These will be available at w2beauty.com soon. 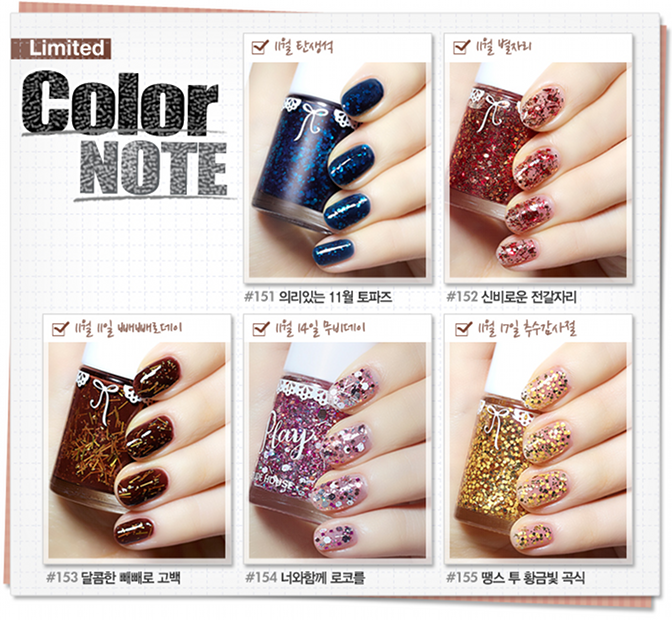 The nail polishes are around $4,50 each (prices may vary per store). The last four nail polishes that I mention in this blogpost which are the base, top, hardener and peel off base can be purchased online on ebay from seller f2plus1 and at w2beauty.com. From left to right : base coat, top coat, nail hardener and peel-off base coat. The peel off base coat looks awesome and easy. I'm curious if its really that easy to peel it off haha. Anyone tried this before? note: all pictures are from the etude house website. this blogpost includes affiliate links.